Well i only recently have been opened up this , and i have to say its quite something> My first attempt was no huge success, and i didnt even use cannabis for the trials, but will shoot trichomes in the near future with this technique. Gives a link to the combinez program you need to do this, as well as a photo essay on how to get it done. I found it to be quite easy and will show you here. 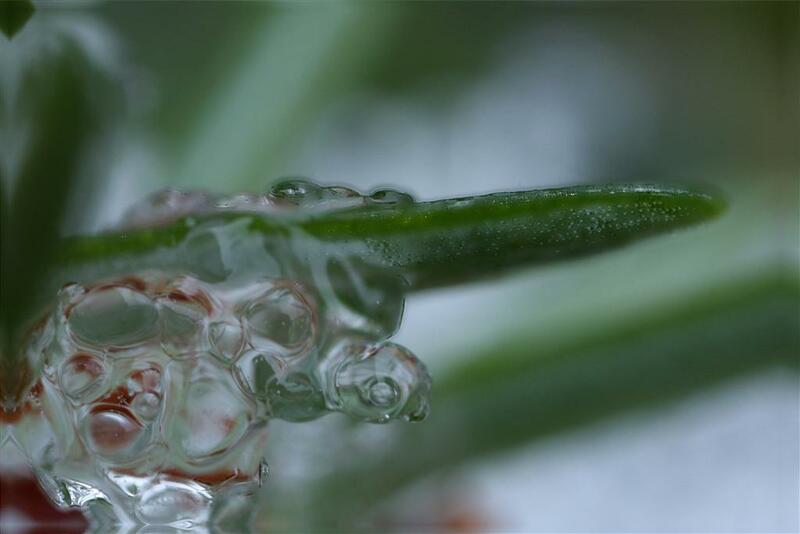 I have taken three pictures of the same object ( some melting snow and pine needles,) but focuses in on different parts of the photo. I then opened the three shots up in the combinez program and it will patch them all together using the most focused parts to create an imagine that is more in focus than the original shots. so you can see how the bottom image is the stacked image and looks the clearest. gives you an idea anyway, for a way better version check the link i put above, he will take you thru this and have you shooting and stacking in no time. Ps, i also opened the last shot in photoshop and cloned out the sensor dust shadows you can see in the top three images. I am still waiting for my sensor cleaners to come, so am still cloneing away. Oh Wow, That is quite phenominal. this method is also really great in shooting vehicles. i don't know if anyone is a carhead, but when you have photos taken at night with hids this method makes your photos come out flawless. kudos again on a great thread. Last edited by Mr.Monty; 10-26-2012 at 04:53 PM.